This is the Shortest Route between MMR and SNSI. Indian Railways will launch a new weekly train--Dadar-Shirdi Superfast Express. The train will run from press. The train will run from Dadar to Sainagar Shirdi stations via Nashik Road. It will leave from Dadar at 9.45pm on Fridays from August 4 and reach Sainagar Shirdi at 3.45am.On its return journey , the train from Sainagar Shirdi station will start at 9.20am on Saturda ys and reach Dadar at 3.20pm. 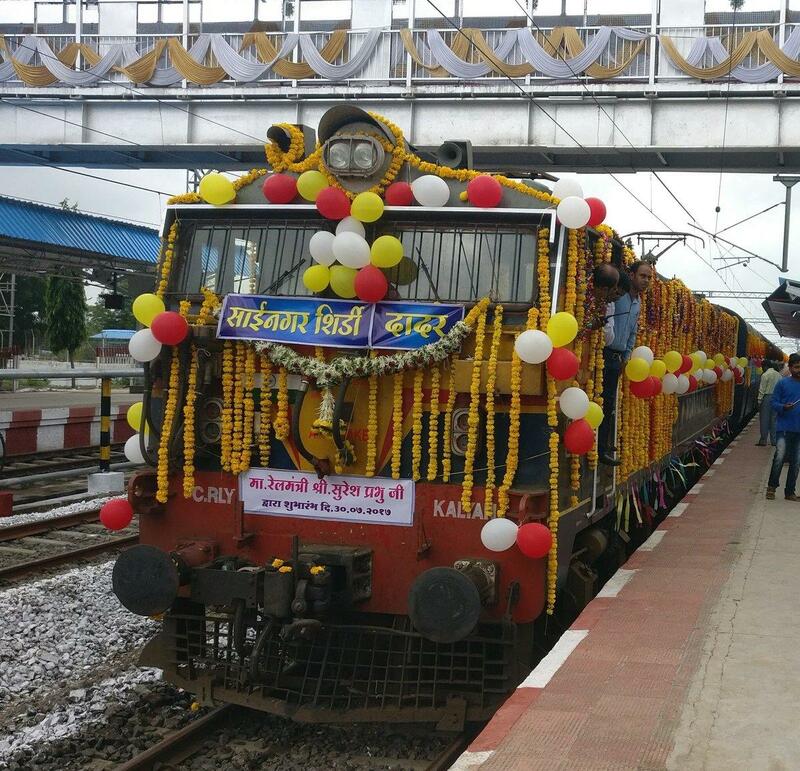 The train will be flagged off from Shirdi station by railway minister Suresh Prabhu at 11am on Sunday . The train will halt at Nas hik Road, Thane, Kalyan, Igatpuri, Manmad and Kopargaon. 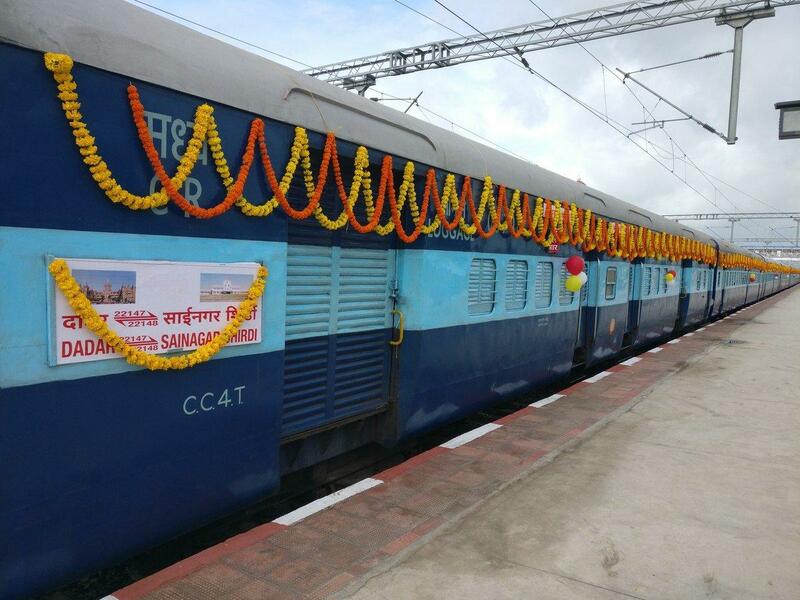 The train will have one AC two-tier, an AC three-tier, seven sleeper class and six general second-class coaches.